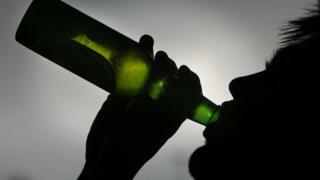 A council is trying to find out if alcohol consumption in public places is considered a problem in its area. The local authority in the Borders previously looked at introducing by-laws more than five years ago. However, it was never taken forward and councillors recently decided a fresh round of consultation was required. A survey will run until 26 May to find out whether or not people consider the consumption of alcohol in public places is an issue which needs to be tackled. A second round of consultation could then look at the level of support for by-laws in those areas. Scottish Borders Council leader Shona Haslam said: "As a council we considered this proposition a few years ago but we felt that we needed to hear from local communities before taking this further. "Any ban would not stop people drinking in their gardens, beer gardens or at licensed events, but we want to know of any potential problem areas that the public think such a ban would be helpful. "Or if they think that there should not be a ban in the Borders." She said that any by-laws could be limited to certain times of year. "We could, for instance, see the by-law not being applicable in certain areas during common ridings, local festivals and new year," she added.